Well here's a resource I have not used yet. Fishing Maps Plus. Check 'em out. Tell me what you think. If you've used their maps, I'd love to hear from you. 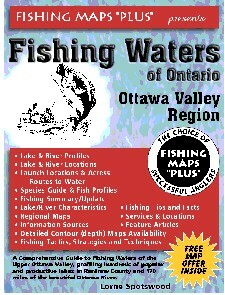 "Selective harvest, with a strong foundation of "Catch and Release", is the policy we advocate at FISHING MAPS "PLUS". Many anglers wish to eat some fish, and why not? They are nutritious and "umm", good tasting. If selective harvest is practiced, then the resource is renewable. The modern-day approach is to keep more numerous panfish before less abundant larger predators, and keep smaller, more abundant fish of a species before larger, less abundant ones."